Volkswagen will present at this year edition of the Worthersse Tour two new versions of Golf GTI, namely GTI Adidas and GTI Excessive. Volkswagen prepared for this year edition of Worthersse Tour two more aggressive versions VW Golf GTI. The first of these is called Golf GTI Adidas and enjoys some design changes and revised interior. Regarding the exterior of GTI Adidas, it received a set of 18 inch wheels, bi-xenon headlamps and LED taillights. Inside, the special edition of VW Golf GTI received sports seats and has a tapestry inspired by sporting goods manufacturer Adidas. Like the series version, Golf GTI Adidas has a 2.0-liter four cylinder propeller that delivers up to 210 hp and develops a maximum torque of 280 Nm. 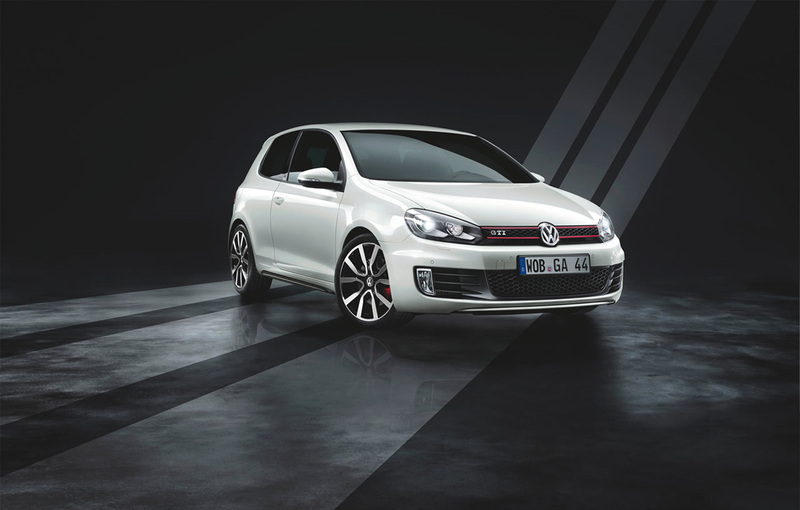 VW Golf GTI Adidas will be produced in 4410 units and will be marketed on the European car market starting June. The second special version prepared by Volkswagen, called Excessive, received a more aggressive exterior. It received a redesigned bumper, side skirts and a new deflector air. Also, VW Golf GTI Excessive received mechanical changes. German engineers have installed more efficient suspensions, improved brakes, and the exhaust system has been replaced by a one made of a lighter material.